TN Business Barometer: Future ..
College Choice ranks MTSU amon.. The MTSU Wind Ensemble’s reputation for excellence has attracted one of America’s most influential composers to campus for a week that will feature master classes with students and public pre-recording rehearsals of his pieces created especially for wind orchestras. David Maslanka, a Massachusetts native renowned for his music for winds, is the university’s latest composer-in-residence, drawn by hearing the work of MTSU’s premier performing group for wind, brass and percussion students. Maslanka, who now lives in Montana, has taught at the State University of New York at Geneseo, Sarah Lawrence College, New York University and Kingsborough Community College of the City University of New York. He’s been a freelance composer since 1990 and has published nearly 100 pieces, including nine symphonies. Many of his works, including “A Child’s Garden of Dreams” and “Rollo Takes a Walk,” have become standards for bands. 2:05-4:05 p.m. Tuesday, Oct. 25, for an open Wind Ensemble rehearsal. 2:05-4:05 p.m. Thursday, Oct. 27, for an open Wind Ensemble rehearsal. 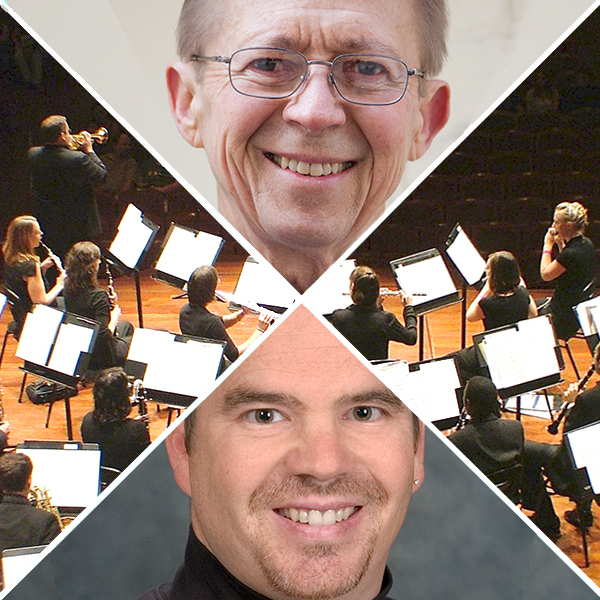 Along with “California” and “Alex,” the MTSU Wind Ensemble will be recording Maslanka’s “Saint Francis: Two Studies for Wind Ensemble” and “Angel of Mercy” during his campus visit. Composition students will be attending a master class with the composer at midday Monday, Oct. 24. The recordings will become part of the ensemble’s fourth CD for Naxos of America, the Franklin, Tennessee, U.S. headquarters for the Hong Kong-based Naxos classical music group. MTSU’s Wind Ensemble released “Angels in the Architecture,” featuring works by composer Frank Ticheli and two of his mentors, Pulitzer Prize winner Leslie Bassett and 2007 Musical America Composer of the Year William Bolcom, in 2011. They followed that successful release in 2014 with “Earthrise,” which included works by British composers Nigel Clarke and Kit Turnbull and Spanish composer Jesús Santandreu, who earned his master’s degree from the MTSU School of Music. “Our third CD is in production right now; it’s exclusively Nigel Clarke compositions,” Thomas said. Clarke is a previous composer-in-residence at MTSU and collaborated last year with Danish writer Malene Sheppard Skærved on “A Richer Dust,” his first symphony for a speaker and symphonic wind orchestra. Thomas and the Wind Ensemble commissioned Clarke to create the piece and premiered it in Hinton Hall in April 2015. You can learn more about Maslanka and hear his compositions at his website, www.davidmaslanka.com. You can learn more about the MTSU Wind Ensemble, plus listen to one of its performances in streaming audio, here. For more MTSU School of Music concert information, call 615-898-2493 or visit the MTSU School of Music “Concert Calendar” link. Dr. Reed Thomas, center, conducts the MTSU Wind Ensemble inside Hinton Hall in the Wright Music Building in this file photo. The orchestra is welcoming composer David Maslanka to campus Oct. 24-28 as composer-in-residence.